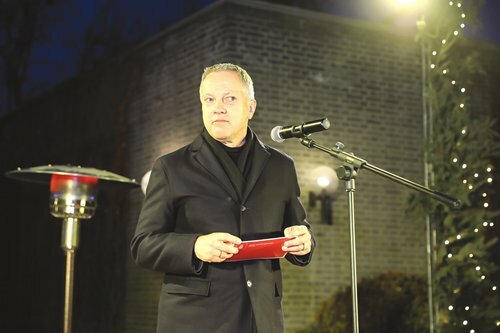 More than 600 Chinese and Danish visitors had found their way to the Danish Embassy for an evening filled with music, and that special kind of cozy atmosphere is called "hygge" by Danes. 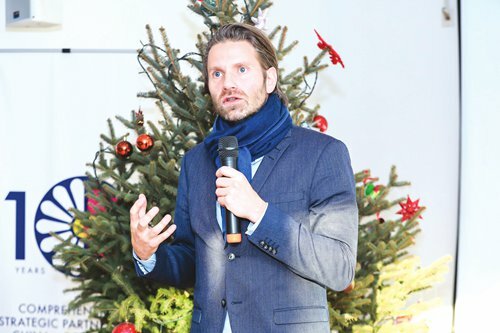 The night was filled with activities and entertainments that offered Chinese visitors a first-hand experience of a traditional Danish Christmas fair and "hygge" - the Danish art of coziness and comfort. On stage, the Danish Marie Mørch Jazz Quartet performed live jazzy Christmas music that exemplified how Danes embrace the winter cold with joy and sweet Christmas tunes. 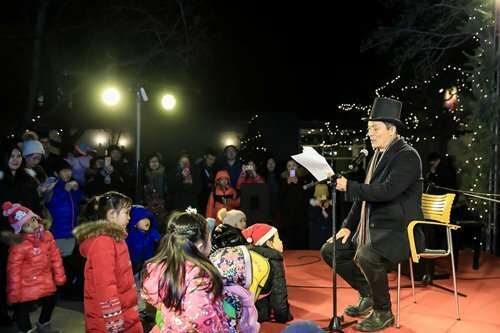 Chinese actor Xu Wei also read aloud from H.C. Andersen's fairy tales, which was a hit of joy for children who flocked to the stage. To keep warm, visitors lined up for a taste of authentic Danish gløgg mulled wine. 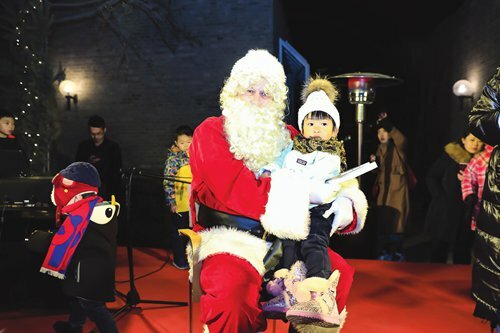 There was also a Santa Claus who handed out small gifts to everyone. One of the highlights of the evening was the participation of the famous Danish writer, TEDx speaker and the CEO of the world's only Happiness Research Institute, Meik Wiking. The author is visiting China for the very first time to meet with his Chinese readers. The author is known for his two books, The Little Book of Hygge and The Little Book of Lykke, which have been translated into 38 languages including Chinese - and has made the Danish word "hygge" famous throughout the world.